Gabriola Island is located in the Straight of Georgia approximately 6 km east of Nanaimo, B.C. Gabriola is an easily accessed island, reached by either a 20-minute ferry from downtown Nanaimo on Vancouver Island, or by float plane into our beautiful Silva Bay Marina. Upon arriving on this 14 km long by 4.2 km wide island, you might not realize the 4000+ population that now exists in our community with the perfect blend of farm land, forest and seaside cottage country. 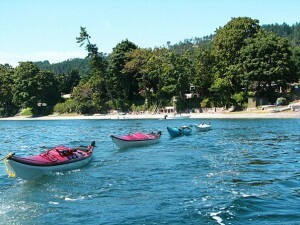 Gabriola Island is a one-stop island offering amenities and access to services for everyone. Our growing community offers grocery and specialty food stores, banking, professional services, and our new medical clinic is a compliment to our existing network of health practitioners and in-home care services. Gabriola Island offers excellent hospitality and tourism destinations, including family and fine dining, pubs, B&Bs, campgrounds, and our world-class boating destination. If you are unable to find a service, find your niche on the island with a business venture to promote better living on Gabriola. Whether hugging the shoreline in a kayak, biking the island roads or hiking the sandy beaches, you will be able to explore Gabriola Island with ease. Our new 707-acre park is one of the many beautiful hiking locations across the Island, and miles of beachfront is within reach from our many Beach Access points. 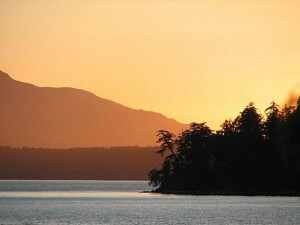 To ensure that the many valuable aspects of living on Gabriola Island are retained, our local government – the Island’s Trust – has a unique mandate for preserving and protecting the area. Through land use and planning, we are ensured both natural and cultural features will be shared with future generations. Our Island has a mild, temperate climate, which has gained tremendous popularity as a retirement community, complimenting the youthful energy of young families and trades people. 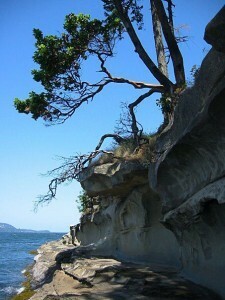 Since living on Gabriola Island, my favourite question posed to me is, “So, where do you go on vacation?”. With the possibility of daily sightings of deer, sea lions, and bald eagles together with migrational viewings of both killer and gray whales, Gabriola Island is the perfect location for the no stress lifestyle. Our Island grows fresh meat and produce to be bought at markets, stores, or from your local farmer. Our waters produce and abundance of seafood; the opportunity for fishing for crab, prawn or salmon is at your doorstep. It’s no wonder this combination of sun, beaches, and recreational activities turns this premier vacation spot into the island you call home.